Why choose Realise4 in Dublin for commercial website design? With years of commercial web design experience, Realise4 are now experts in creating state-of-the-art websites for businesses in a variety of fields. We are proud of the fact that a significant amount of our commercial web design work has been a result of recommendations from satisfied clients. Our designs speaks for themselves. Whether it's a custom content management system you're looking for, or a commercial website which fully embodies your company's industry, philosophy and target audience, Realise4's web design dublin based team have the skill and knowledge to deploy it. We adopt the latest innovative technology so that our commercial web designs can function at the highest level. Our team works closely with the client to formulate a keen understanding of their products and customer base. 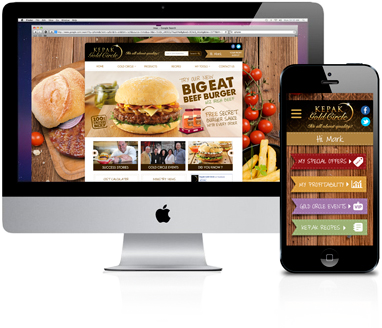 This approach enables us to plan a commercial web design which is tailor made for their market.